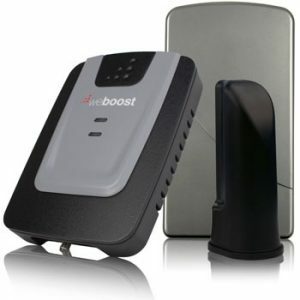 Who can benefit from cell phone signal booster ? a) If you have poor cell phone reception inside your home or office? b) If you have slow data connection on 4G or LTE network? c) If you experience missed calls or dropped calls or receive/send text messages? No, all the devices work for all carriers and any phone. Requires no contract or permission from cell phone provider. i) Where to register the signal boosters? The signal strength determines the size of the coverage area. It directly depends on the position and where we can mount an external antenna. For a strong external signal, the coverage area of the signal booster is similar to the size advertised. Similarly, for a weak or low external signal, the inside coverage area will not meet the expectation as advertised, you can overcome it by moving to a stronger system to obtain adequate coverage. These are the main criteria that have to be kept in mind when looking at the published square footage that is listed for each signal booster. It is also important to have a clear understanding of what the bars on your phone indicate to ascertain the signal strength for placing the external antenna. Each bar of the signal is roughly 5 to 10 times the power of the previous bar. So, it’s important for people with low signal strength such as one or two bars to choose a stronger cell phone signal booster than suggested for their coverage area. To read the strength of the current external signal, put your phone into “field test mode” (the steps are different for different mobiles with different OS), that will display the actual decibel. This technique is called site survey. With any external antenna, it becomes a necessity to remember about its exposure to Mother Nature that can be pretty tough on the equipment. In particular, antennas are susceptible to lightning strikes as they are made of metal and have some level of electricity flowing through them. Another thing to consider is wind. 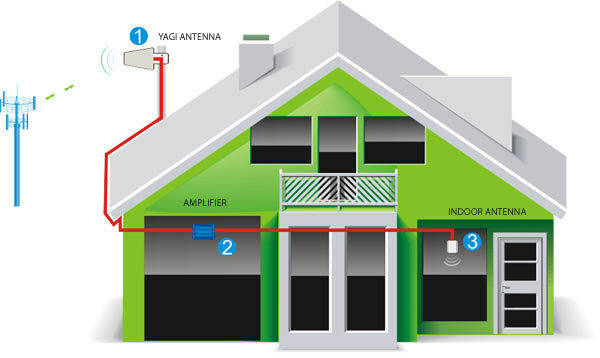 There are two different types of external antennas that one will encounter when deciding on a cell phone signal booster – omnidirectional and yagi antenna. 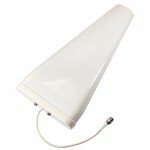 The word “Omni” means all around and in this case, this antenna can receive cell phone signal all around 360 degrees. Omni-directional antennas are particularly designed to send and receive signal in all directions so that one is able to reach multiple cell phone towers at the same time and boost cell phone signal for multiple providers. 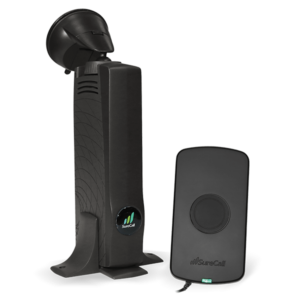 Omni antennas are best suited for circumstances where one needs to support multiple cell phone carriers, each with their own cell tower, and are already receiving at least three bars of signal outside the house or workplace. It then becomes easier for the Omni antenna to pick up the signal from each of the carriers which are then supplied to the amplifier. This will thus boost the signal inside our home or office. Yagi antennas, on the other hand, are designed to send and receive signal in a specific direction. When one is not able to spread over a broad area, you are still able to reach significantly larger distance to cell phone towers that you would not be able to do with an Omni antenna. On placing an external antenna in an area which has a weak signal, and when we have only one cell provider that we are looking to boost the signal for, then a yagi antenna proves right for our use. 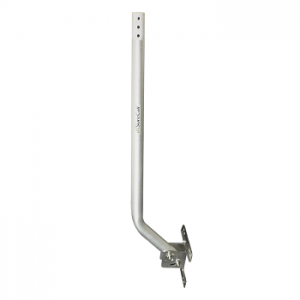 Wide band Yagi antenna: Now, this type of yagi antenna although directional, is capable of operating in a wide range of frequencies that operate in North America. 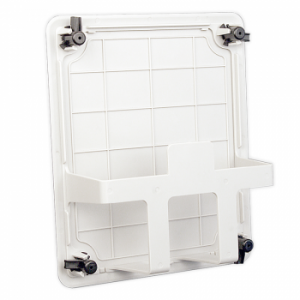 Panel antennas are designed to podcast and receive signal in only one specific direction and they are proved to be the best suited for either long, rectangular spaces or multiple floors in a building. They can be either mounted on the wall facing down space or mounted facing downwards at the top of a space and broadcast down and out through multiple floors. 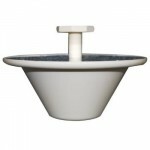 Dome antennas, on the other hand, are designed to cover one floor with the signal in all directions and they are meant to be mounted on the ceiling at the center of the space in order to broadcast and receive signal equally in all directions. They are not advisable to be used for multiple floors of coverage. Now, amplifiers are tricky and they needed to be paired appropriately with the right antennas or else you can have a mismatch in gain and effect cell phone towers. However, the kits sold here on this site are configured and takes the guess work out for the buyer. The amplifiers are the engines of a repeater system and they are the ones that run the operation. They receive the cell phone signal captured from the cell tower with the help of external antennas and multiply that signal several times to make it into a much stronger signal before it gets transmitted across the building to the indoor antenna. 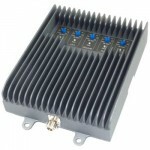 Now, amplifiers up to 72dB gain can be installed without any special permission from the FCC. Anything more needs to get permission from each individual carrier. In the past, before the FCC got involved there were some strong powerful amplifiers installed that interrupted with the smooth operation of the cell phone tower and the cell phone network providers were not happy. Since they voiced their concern, these new requirements are in place to make sure no cell phone tower is interrupted by installing these cell phone signal boosters. We only sell FCC approved systems and that way the consumer is always protected! This is a new category of Signal Boosters. 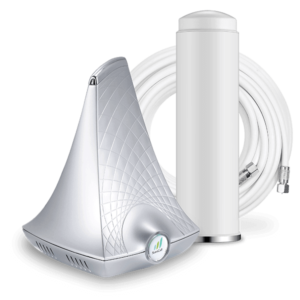 This new category of modern boosters utilizes powerful digital baseband processors to clean the signal before it is rebroadcast. Most of the Smart Signal Boosters have a gain of 100 dB (compared to analog booster’s gain of 63 to 70 dB) and are carrier-specific. Thus they can have higher gain in the US according to new FCC regulations. Some of these new boosters, while more expensive than a traditional analog booster, are plug and play. They usually don’t need the installation of outdoor antennas. Most of the time, Smart Signal Boosters are carrier-specific. One advantage of cellular repeaters is an increase in the cell phone’s battery life since it requires lower power to broadcast the signal to the local bi-directional amplifier due to its proximity to the phone. The surge protectors are not usually included in the standard kit, but it is optional if you live in a lightning-prone area or a place where you expect more than normal fluctuations in voltage. The surge protectors are gas filled cartridges that can be easily replaced if you blow a fuse and gets installed between the external antenna and the amplifier. Between 1 & 2 in the Illustration Diagram above. 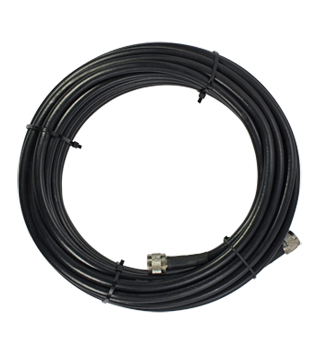 The cables used in our booster kits are thick coax cables that are specifically chosen to avoid signal loss. Basically, the cell phone amplifiers job is to increase signal present at a given location. Now, if the input signal is fairly strong, the output signal will be significantly strong. If the input signal is significantly weak (less than 1 bar or no sign of bar) then the output signal will not be that strong. So, it is imperative that the input signal is not diluted before it reaches the amplifier. Hence a thick coax is recommended and the cable distance between the external antenna and amplifier be kept to a minimum so the signal loss is minimal. The F connector is a coaxial RF connector commonly used for “over the air” terrestrial television, cable television and universally for satellite television and cable modems, usually with RG-6/U cable. 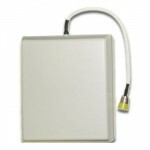 The F connector is not expensive, and has good 75 Ω impedance match for frequencies well over 1 GHz and has usable bandwidth up to several GHz. 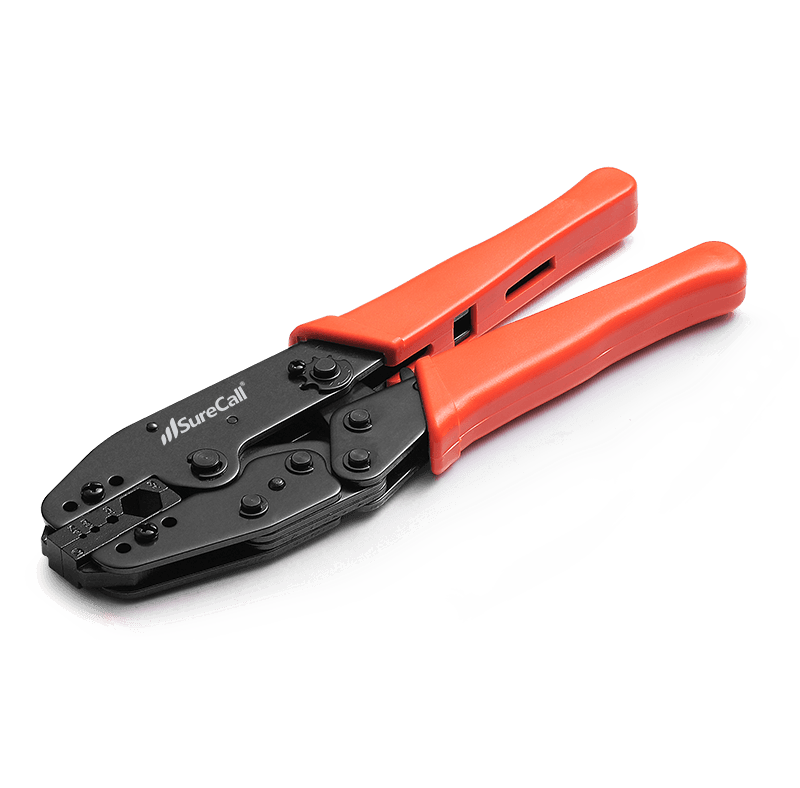 One reason for its low cost is that it commonly uses the solid conductor of the specified types of coaxial cable as the pin of the male connector. Universally, stainless steel is used for all types of F connectors. The design is subjected to the surface properties of the inner conductor (which must be solid wire) and is not corrosion resistant. Hence waterproof versions are needed for outside use (for example, on aerials). Corrosion resistance can be improved by coating all bare copper wires with silicone grease. The male connector body is typically crimped or sometimes screwed, onto the exposed outer braid. Female F Type connectors have an external 3/8-32 UNEF thread (9.5 mm diameter). Most male connectors have a matching internally threaded connecting ring, though push-on versions are also available. There was a time when in made economic sense to pick signal amplifiers based on the specific carrier frequency and now the cost difference has disappeared with technological advance. All signal boosters now are multi-band systems that works for all carriers. The convenience of multi band systems is that it will work on all carriers and all phone including Android and Apple Operating systems that any future upgrades or change of carrier would not affect your signal boosting function. AT&T’s 2G, 3G, and HSPA+ 4G networks all operate on the standard dual-band frequencies so any dual-band amplifier will work. 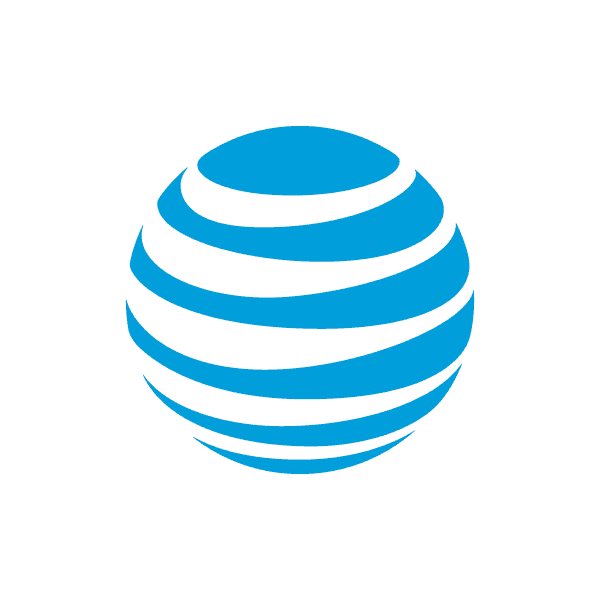 AT&T’s 4G LTE network operates on the 700 MHZ frequency on Bands 4 and 17 so if you need AT&T LTE data support, look for an AT&T LTE specific booster. T-Mobile’s 2G service operates on the standard dual-band frequencies so any dual-band amplifier will work. Their 3G and 4G HSPA+ service currently runs on the AWS frequencies (1700/2100 MHz) and needs an AWS booster.However, T-Mobile is transitioning their 3G and 4G HSPA+ service to their 1900 MHz band, which is one of the standard dual-bands, so that they can use their AWS band for their new 4G LTE service. MetroPCS runs some 3G over 1900 MHz so a dual-band amplifier would help in that situation. They also use the AWS frequencies (1700/2100 MHz) for some 3G and for their 4G LTE network. If you’re not sure which frequency is being used by your phone, try calling their customer service and asking for clarification. Sprint’s 2G and 3G services operate on the standard dual-band frequencies so any dual-band amplifier will work.Sprint’s 4G service is a mix of WiMax and LTE using different frequencies so if you need 4G support, you’ll need to figure out which service you’re using and what frequency it uses before proceeding. Try calling Sprint’s technical support to find out what technology you’re using and what frequency it runs on and then contact our customer service for help selecting a kit that will work for you. Verizon’s 2G and 3G networks all operate on the standard dual-band frequencies so any dual-band amplifier will work.Verizon’s 4G LTE network operates on the 700 MHZ frequency on Band 13 so if you need Verizon LTE data support,look for a Verizon LTE specific booster. Where to register the signal boosters?